The finger sign shows the way at Great Haywood Junction. 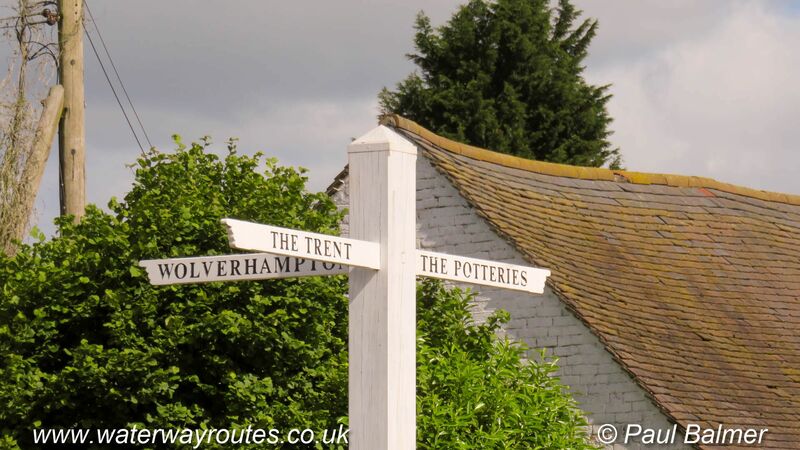 The Trent & Mersey Canal runs straight past the junction on its way from the River Trent near Shardlow and through the Potteries to Preston Brook. The Staffs & Worcester Canal starts here and runs past Wolverhampton to reach the River Severn at Stourport.